You might think that having an answer for every question and nailing all your talking points is the key to a successful interview. 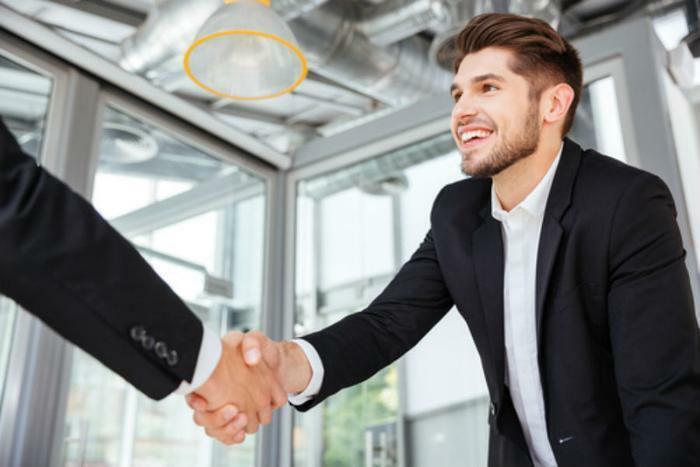 But a recent survey from staffing firm OfficeTeam shows that employers also put a great deal of importance on a candidate’s body language. When senior managers were asked to rate how much certain nonverbal cues told them about a candidate, the responses indicated that they were very influential. On a scale of 1-5, with 1 being “not much” and 5 being “a lot,” respondents rated eye contact as the most telling cue about who a candidate was, at a 4.18. That was followed by facial expressions (3.96), posture (3.55), handshake (3.53), fidgeting/habitual movements (3.33), and hand gestures (3.03). Get hands-on: Aim for a handshake that’s firm, but doesn’t crush the recipient. Limit the duration to a few seconds. Break out of that slump: Subtly mirror the interviewer’s body language and posture. Sit up straight and lean forward slightly to show engagement and confidence. Put on a happy face: A genuine smile demonstrates warmth and enthusiasm. Conduct a mock interview with a friend to find out if you’re unwittingly sending negative nonverbal cues. Keep your eyes on the prize: Maintain regular eye contact during the meeting, but look away occasionally. Staring may be perceived as aggressive. Don’t fidget: Resist the urge to shake your legs, tap your fingers, or twirl your pen. It’s fine to use hand gestures, as long as they’re not distracting. Keep your arms uncrossed to appear more open and receptive. For candidates who get anxious during or before an interview, experts say that there’s no substitution for solid preparation. Reading and researching what your role will be with the company beforehand will allow you to answer questions more confidently and mitigate any nervous ticks that may show up during the meeting.